The Dante Alighieri Cultural Association – Bangkok presents “ITALIAN FILM FESTIVAL BANGKOK 2016”, showcase a selection of 7 recent Italian productions. After the success of the 2015 edition, the Dante Alighieri – Bangkok offers a new program of screenings, sponsored by Emporium and Quartier CineArt, and with the cooperation of the Italian Embassy in Bangkok, and the additional support of Qatar Airways and Peroni. The event is organized within the framework of the “Italian Festival in Thailand 2016”. The event is pleased to have as testimonial and guest for the entire period the leading actress Linda Caridi (playing the title role in “Antonia”), that will introduce the opening ceremony and present the screening of Antonia. 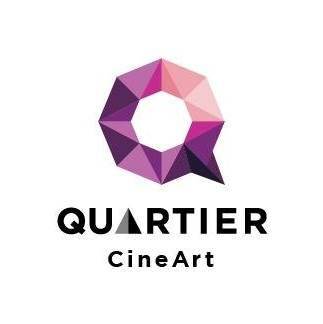 Projections are scheduled from the 13th to the 18th of September 2016 at the Quartier CineArt Theater 3 on the 4th floor of the EMquartier. All films are in Italian with English subtitles except for Youth which is in English. Tickets are 150, 170 and 300 Baht each according to seat choice. ME, MYSELF AND HER - (IO E LEI) – by Maria Sole Tognazzi – comedy/drama - 97 min – Italy 2015 – with Sabrina Ferilli, Margherita Buy, Fausto Maria Sciarappa.